Our natural form of health care is focused on making sure you can work at your fullest potential. At Rumph Chiropractic Clinic, we look at both the structure and the function of the body. The structure involves your spine and skeleton, while the function is dependent on the health of your nervous system. If your brain and body can fully communicate via the nervous system, you will operate at 100%. When you experience symptoms like pain, numbness or tingling, it’s a sign that something isn’t quite right. If you maintain your spine, you have the best possible chance at health. The spine houses your nervous system. When your spine has full mobility and motion, you can experience abundant overall health and wellness. 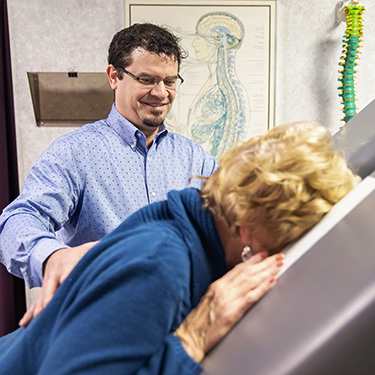 Our chiropractors influence the health of your nervous system by correcting subluxations, or misalignments in the spine. How? 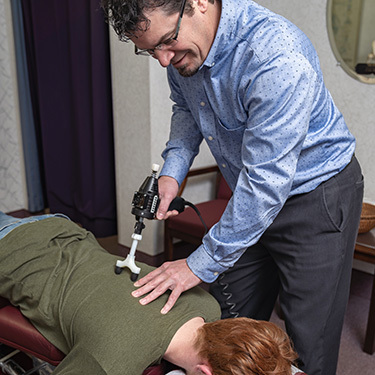 We start with an initial consultation and examination to discover where subluxations are in your spine. Then, we make adjustments while you lie comfortably on a table. We may use our hands to make adjustments or instruments such as the Activator®, ArthroStim® or Impulse®. Our other techniques include Gonstead, Diversified, Cox Flexion-Distraction and Thompson. 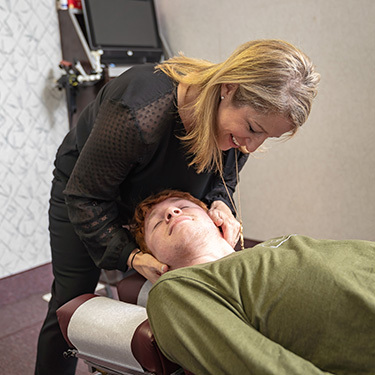 We have a massage therapist on-site and may use spinal decompression in your care when appropriate. 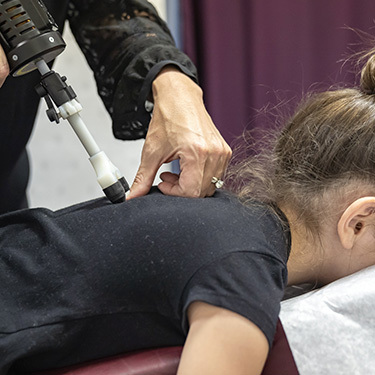 All the techniques we recommend will be based on the findings of our examination, X-rays and your preferences, and we’ll walk you through everything you can expect before we begin. If you’re in pain, we may see you more frequently to relieve your discomfort. As you get better, we’ll see you less often. We perform re-evaluations at regular intervals to measure your progress. Contact our team today to arrange your first appointment! Early and late opening hours are available.